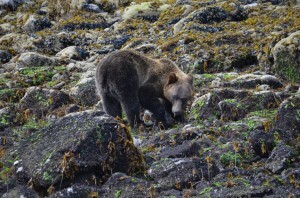 In the spring grizzly bears are on the beaches to turnover rocks. This inter-tidal zone “food” is high in protein and is made up of crab, clams, barnacles, amphipods and other tiny invertebrates. The “beach food” is important because the numerous berries (huckle berries, salmon berries, black berries, thimble berries, salal berries etc.) do not become ripe until late spring and summer. 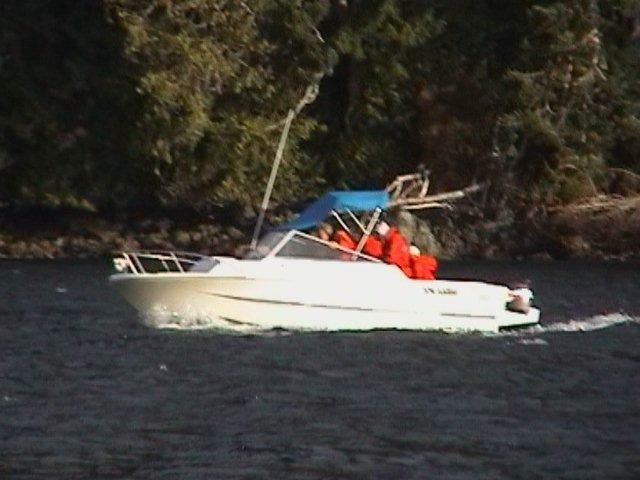 This is a common pose for the grizzlies as they roll rocks, as rock roll easier down hill and were are in a boat on the down hill side of the bears. 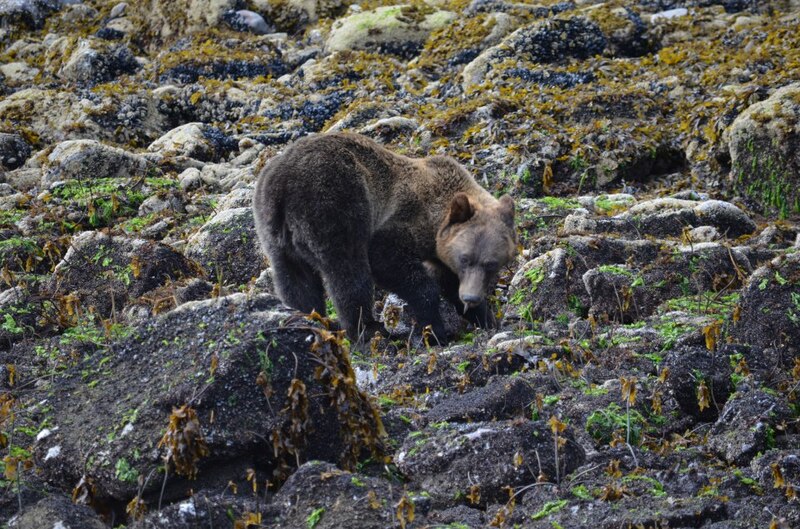 Also the bears accept our presence and any concern (fear) they have comes from up the beach where larger bears may approach out of the bush or forest. Luckily we stayed in the Sailcone lodge and did Not fly to another place. We have seen many places worldwide- but this one is the best! 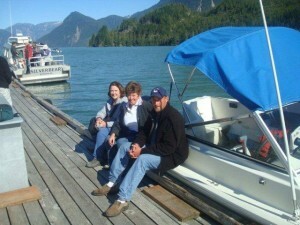 We saw Orcas, Humpback, Bears, fly-fishing Germans, great nature. We experienced Great hospitality, friendship and gourmet food. What can you ask for more? Thank you very mush, we’ll keep in touch and will be back!! !